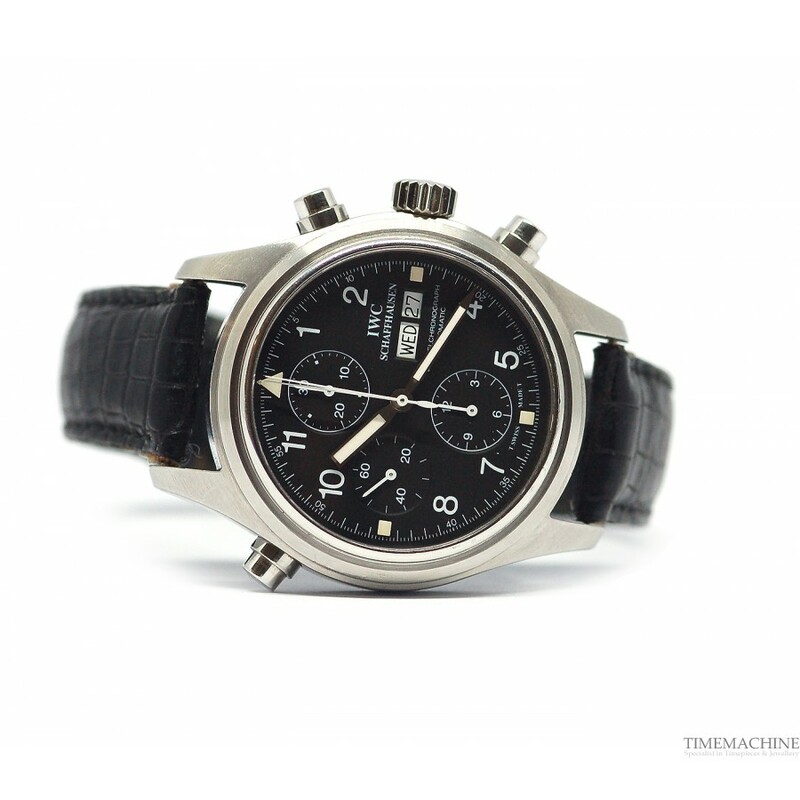 Pre owned, IWC Flieger Dooplechronograph Split Seconds, 42mm stainless steel case with black leather strap, black dial with date and week day, double chronograph, sapphire crystal glass, solid caseback, automatic movement. 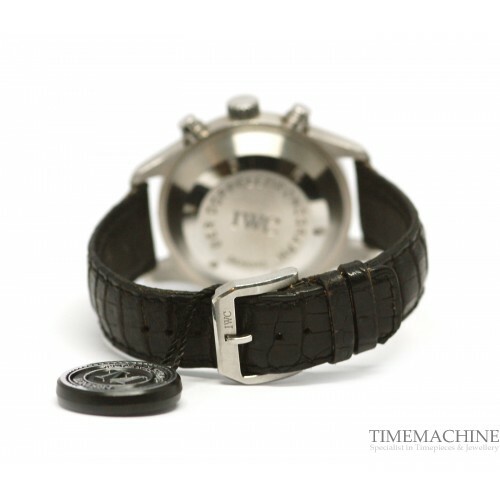 Full Set, original box and original papers it also carries 12 months Time Machine mechanical guarantee. 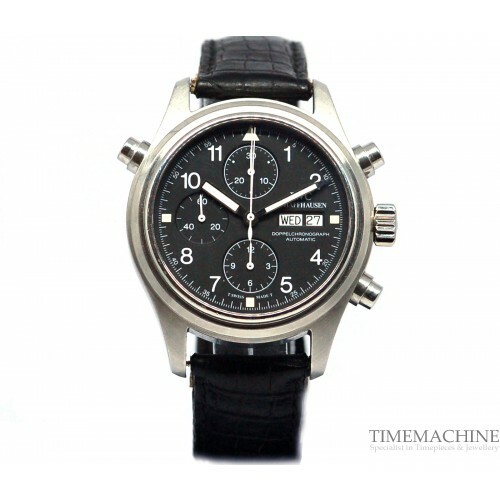 Please Quote 2901 in all communications with us regarding this Timepiece. The Doppelchronograph is a completely modern version of an IWC Flieger that still retains the traditional look. It features IWC’s amazing split seconds double chronograph module, originally created by Richard Habring. The polished stainless steel case and three register dial with arabic numerals is classic with modern updates and reserved red accents. The hands are IWC’s newer sword style hands which I’m personally a fan of. 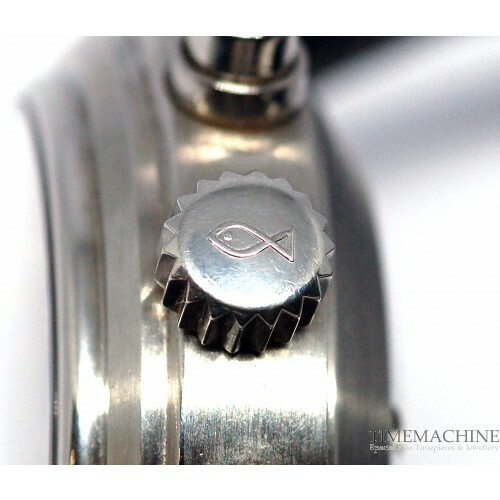 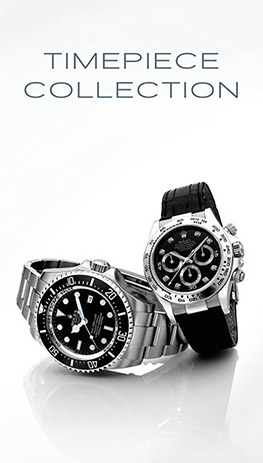 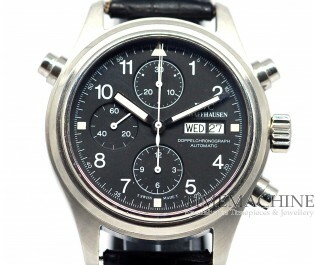 The altimeter style date feature has been hit or miss with fans of the brand. 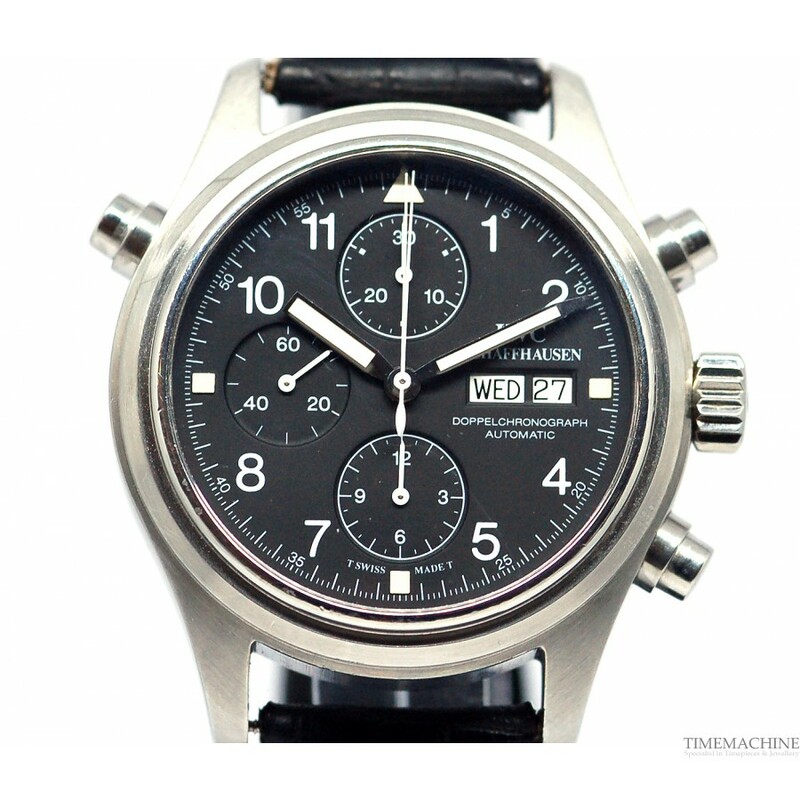 IWC’s caliber 79230 Doppelchronograph movement is a fantastic piece of engineering.